To say I liked this book would be such an understatement. I loved everything about the book, from the writing itself, the word choices, the relevant stories, even down to the way the book is formatted. With quick short sections, it’s like getting a proverb dose of wisdom in every page and that’s a major plus for the busy woman! Warrior Chicks is for every woman who has ever had to endure hardship, struggles, or pain. It’s for any woman who has been hurt and had to fight her way back from depression, for the woman who needs a reminder that she is more than a soldier, she’s a warrior. It’s like having a personal encourager, a best friend cheerleader, a fan club president speaking words of affirmation to you. Holly Wagner is author extraordinaire! She has a way of writing that includes deep, challenging stories. Oftentimes, I see the same stories used repeatedly in other books. The stories are good but almost overused. Holly Wagner uses stories and examples that are fresh and applicable driving home the lesson she’s teaching. Warrior Chicks is on my top 10 best reads and it’s a book that I would recommend to every woman in whatever stage of battle training she may be in; whether she’s a new recruit or a seasoned warrior. 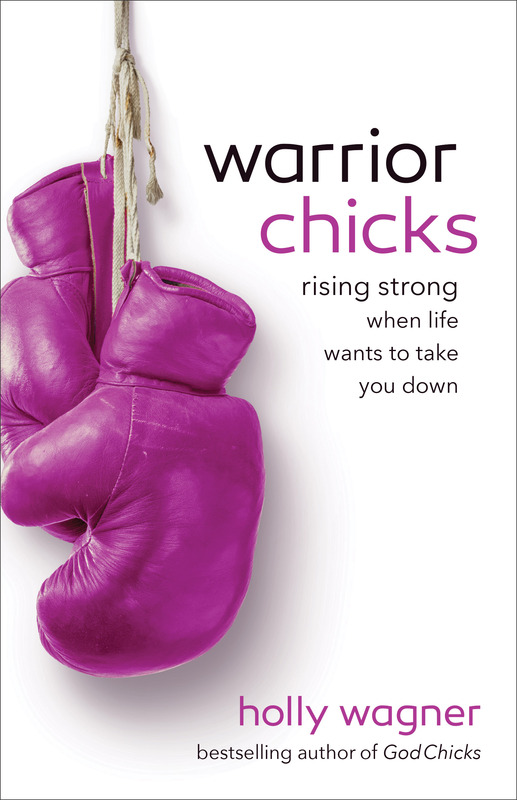 Warrior Chicks is a book that stands heads above the rest. I gave a copy to my daughter who is going through an ugly divorce from an abusive husband but she seems angry at God and won’t read the book.